New Zealand born and bred (now currently residing in East London), the four-piece quickly garnered a reputation for one of the fiercest live bands on offer. Who’s Coming Through The Window, apparently written in a fit of activity-induced paranoia while the band were staying in a New York hotel, the track, not surprisingly, is both wonderfully schizophrenic and incredibly catchy. The appeal of 'Who's Coming Through The Window' is its point of difference. A foot stomping time signature, trippy lyrics, a mad chord progression and a screaming, hooky chorus that BELTS out of your speakers. Yes, it's trade mark, unique, betchadupa. 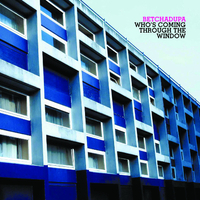 Unfortunately at this time we can't offer all the Betchadupa - Who's Coming Through The Window tracks as individual mp3s, as some of these tracks exceed the shops maximum (9mins) download length.